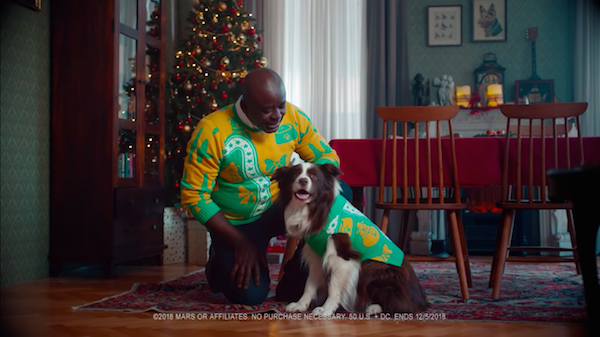 Gourmet dog food brand CESAR has rolled out a Christmas campaign, created in partnership with ad agency AMV BBDO, that lets owners “twin” with their four-legged best friends. 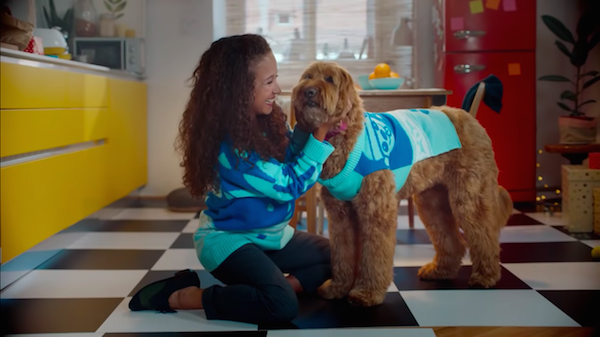 This ‘Designed by Dogs’ sweater collection comprises a variety of matching apparels, made at its ‘Doggy Design Studio’ and in collaboration with MediaMonks plus dog behavioral experts. Here, the canines ran, jumped, barked, and wagged their tails through a series of obstacle courses and stations to render each element of the respective designs. For instance, the sound waves of their barks were stitched onto the sweaters’ sleeves, while the wagging of their tails would determine which icons would appear on the pullovers. Each design has been made in a dog and human size, so owner and canine can celebrate the festive year-end holiday together in matching outfits. “[I]t really allows our canine friends to be part of the holiday celebrations,” explained Fabio Alings, global CESAR brand director. ‘Designed by Dogs’ will roll out in seven countries including the US, Russia, Spain, Italy, Japan, and the Nordics. It will be initiated in stores as well as online.